No leaks, no rumors, no teasers, no frustrated execs. Apart from revamping the Mega Drive in 2009, it seems that Sega has successfully kept itself under the radar about their plans of going back to manufacturing consoles - that is, until now. 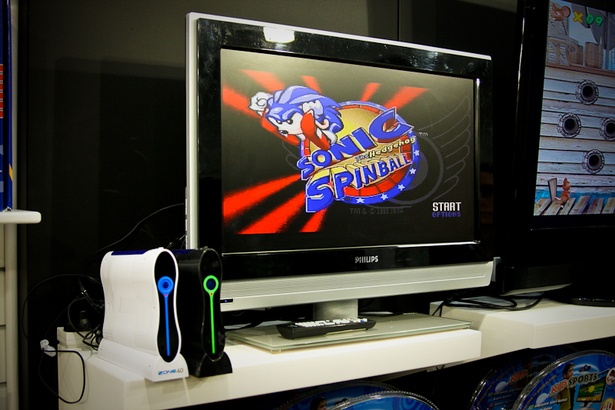 Electronics news blog Pocket-Lint has the goods on what appears to be the new Sega console. It's called the Sega Zone, and it will launch along with 20 classic Sega titles, plus 30 more for added kicks - all from the publisher. 16 of those will be motion-controlled. For that, the package comes with two black Wiimote-like controllers with pretty much the same function. While it's a console in the strictest sense, it doesn't appear to be a legit entry into the 7th gen war, even with its blatant Wii-ness. 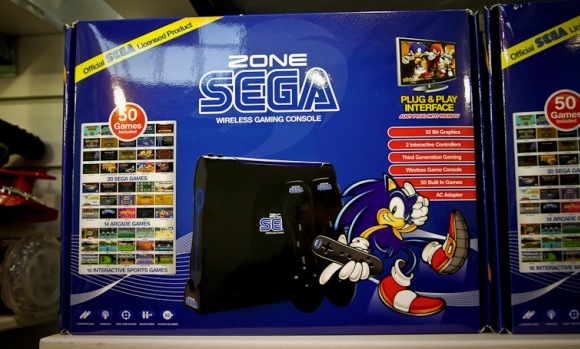 The Sega Zone is to launch this summer, priced at about £50, or almost US$ 80. Weird news! Is it backwards compatible with anything? That looks like utter garbage, the Sega Firecore is a better console. I have one of those and it only ran me $25. 30 original Genesis built-in games and backwards compatiable with Genesis and Mega Drive titles, and soon it will have new 32-Bit Sega Firecore games. Edit- I now laugh at my original statement because the stupid Firecore exploded. Cheap piece of junk. Last edited by HiddenGremlin on Wed Apr 20, 2011 10:24 am, edited 1 time in total. I'm not really sure what to make of this. Will this just be built-in games? The article almost makes it sound like more games will be coming. If so, does it have a cartridge port? Are the games original? How are the graphics? Genesis like? Dreamcast quality? Been following this at atariage and sega-16, seems it's going to be a pretty crappy clone. I'm not holding my breath, and bet they will be at flea markets and thrifts relatively quickly. There was a similar thing at the Dollar General for $40 over Christmas, called the Game Zone, I hav read it's the same as that one just running Sega software. I'll get it if I can get one cheap. Not at $80, that's for sure. 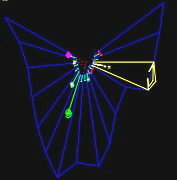 nathanallan1 wrote: Been following this at atariage and sega-16, seems it's going to be a pretty crappy clone. I'm not holding my breath, and bet they will be at flea markets and thrifts relatively quickly. There was a similar thing at the Dollar General for $40 over Christmas, called the Game Zone, I hav read it's the same as that one just running Sega software. I need to find out more info on this before I decide to buy it or wait for the price to come down. If the games are all new and based on older Sega games, it could be ok.